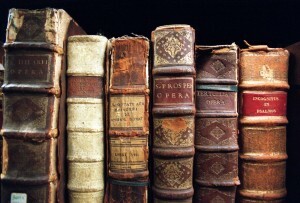 Recently, an article in The Guardian debated the future of the book. Are its days over? 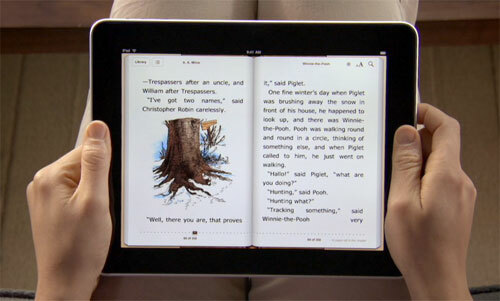 Do Kindles and iPads spell the end for reading as we know it? Anthony Seldon, educational guru and headmaster of Wellington College, has apparently removed all but two thousand of the books from the school’s library; the students of his public school will now forthwith use iPads and Kindles. Yet, whether it’s the gimmick of using an e-reader or whether we are seeing a genuine revolution in the making, reading, it seems to me, might actually be on the increase. Technology is not necessarily the end of the book. Railways have always been one of the best indicators of reading habits, particularly on regular commutes. Coupled with advances in printing technology, it was, of course, through WH Smith’s chain of station bookstalls in the Victorian era that novel reading really took off amongst the wider public, desperate for something to while away long journeys. And the end of the Victorian period, stretching into the early twentieth century, before the advent of cinema, radio and television, is often seen as the golden age both of railways and of newspapers. Well, based on my morning rail commute, I’d observe that over the last five or so years paid up newspaper readers really are in decline. Stock brokers and bankers with bowler hats are no more; so, too, is the cliché of a train full of passengers heading to the capital from the Home Counties with their heads buried behind the pages of The Daily Telegraph. The addition of The Metro (once confined to suburbia but now available almost nationally) has not exactly helped here. Books as physical objects, too, are seemingly a little less popular. Chains such as Borders have gone, whilst many local, independent bookshops are apparently struggling, though their decline might be as accountable to the ending of the Net Price agreement and Amazon’s cut price tactics as much as anything else. Indeed, on Saturday, as I returned from London, I felt a positive luddite at the contents of my bag – four newly purchased paperbacks – surrounded as I was by Kindle users. It genuinely would have been much easier to travel with them all stored on a Kindle. But the train was actually full of people reading – magazines, books, some newspapers, Kindles, iPads. Indeed, I would go so far as to say reading was the most popular way of passing the journey. But I am not convinced I’d have ended up with the same four books had I been browsing on Amazon or another online ebook vendor. Two were definite ‘stumble upons’, including a gift for a godson. The other two I’d thought about reading but only after half an hour of browsing, holding them, skimming them and rejecting others, did I finally opt for them. So, for now, the days of the book are far from over. Despite some decline in sales, we still crave them as physical objects, still love the design of a beautiful edition (which, ironically, we might not read) and still, just about, find the lure of the bookshop irresistible. If some awful musty holes of bookshops (a second hand store in Aberystwyth with its somewhat supercilious ‘literary’ proprietor springs to mind) and some revoltingly corporate chains vanish, I won’t shed a tear. But when really well thought out shops – the National Theatre bookshop in London, the Book House in Thame, Blackwell’s in Oxford – start to close, then there really will be cause for concern. Indeed, however popular the Kindle and iPad are, the iPhone’s diminutive screen size and abysmal battery life count it out as a practical way of reading continuous prose for extended periods. It’s great for browsing stories, particularly when newspapers or other media providers have a decent app – I don’t go a day without visiting the BBC’s news website, for instance. But there remain some awkward problems with technology, particularly when it comes to breadth of reading. One of the great features of a traditional newspaper is that it informs its readers of stories they would never have remotely considered reading. In that respect, reading a quality newspaper each day really does educate roundly. So, too, are bookshops perfect for introducing readers to new authors and titles. And the truly skilled booksellers and librarians, who understand their market, know how to select books which interest, engage and broaden the mind, really are invaluable, and not a group of people whom I’d like to see disappear. When it is considered how many thousands of books are published each year (and the ease of ebook publication means that even more titles are becoming available), the job of selection is essential. And we need a range of selectors and therefore a range of bookshops – I’m convinced that the decline of Waterstone’s is partly down to its move from being a temple of literature to the worst possible uniform blandness with every store apparently selling more or less the same uninspiring, middle market selection. Nor, too, can we be certain of how long technology will remain in its current form. In my lifetime, the audio cassette replaced LPs, which have in turn been overtaken by CDs and now by downloading music directly from the web. Will today’s ebooks be compatible with the innovations in technology of twenty years’ time? Part of my enjoyment in books comes from the experience of browsing and rediscovering books from my shelves, which maybe I purchased as a student or in a rash moment years ago. And what about gifts? ‘I’ve sent you an ebook’ is not nearly as meaningful as the pleasure of a lovingly chosen hardback tome with a shiny dustjacket, unwrapped on Christmas Day. Or what about books as heirlooms, objects which hold treasured memories? Somewhere on my shelves are my prizes from school – The Young Naturalist with a squirrel on the front, which I won for Science and Humanities as a first year, and a collection of poetry which was the Sixth Form prize for English. There’s a comforting permanence and solidity to ‘proper’ books. Just as books have survived television and radio, and just as theatre thrives despite the cinema, I suggest that books will continue, but in new ways. Maybe the days of huge sales are over. Really big sellers – the John Grishams and Stephen Kings of the world – will switch to ebook format. So too will many newspapers and magazines. Such writing is best viewed as disposable, just like most films and music. Popular for a moment then forgotten. In education, the case for switching to ebook readers of some sort is almost overwhelming as the cost of books rises and Kindles tumble in price, though there remain practical difficulties. If using Kindles gets students reading, do it. In non-fiction, too, books might well be on the wane, though there are problems with the reliability of website based information. Wikipedia has probably replaced most encyclopaedias, but we still need specialist and more selective reference works: Wikipedia’s collaborative nature means that the quality of articles varies enormously. (Try Googling your latest hypochondriatic symptoms at 3.00am and understanding what Wikipedia means in plain English, and I’d rather my doctor had not gained most of his or her knowledge from the web). When travelling, it makes sense for guidebooks to become apps, perhaps integrating GPS into their functionality. Works such as the Bible, which are already divided into separate books, chapters and verses, are very easily read on portable devices. In poetry and drama and quality fiction, however, I predict that books will remain for some considerable time. Classic novels have been free online from sites such as Project Gutenberg for about twenty years, but there are problems with the quality and reliability of the text, scanning errors and poor editing. The fact that we expect such materials for free does not help improve them either. Books can be given away, shared, passed around and enjoyed collectively, in a way not quite yet possible with ebooks, though things are changing rapidly here. I suppose in all of this – and here I acknowledge I am sitting on the fence – I am calling for balance. Changes in technology are opening up endless possibilities: many have rediscovered the joy of writing through blogging; others have been rejuvenated as photographers through Flikr, camera phones and PhotoShop; still others, untrained as instrumentalists, have tapped into musical creativity they never knew they had. Kindles and iPads have huge advantages, not least their portability (though they’re even less fond of water than books!). And, like much technology, used wisely it can be employed in the spread of knowledge, wisdom and education. I’ve learnt much from Wikipedia, just as I have from television. But books, beautiful, beautiful books have quite some time left in them. Perhaps, then, twenty years from now, reading on the latest gadget will seem quite normal. But so, too, will reading a book. Like television, cinema, radio, YouTube and iPlayer, ebook readers will merely have become another (but very popular) medium, sitting comfortably alongside, not in competition with, the conventional printed on paper book.